Personalised leather wallets and card holders. 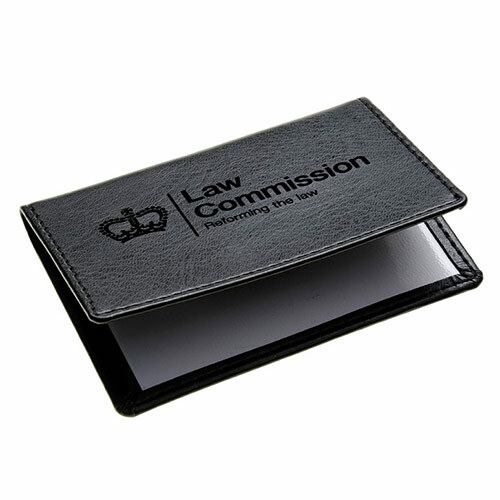 Choose from a selection of quality Belluno leather wallets and card holders, then personalise by adding your name or message (or logo) via engraving. 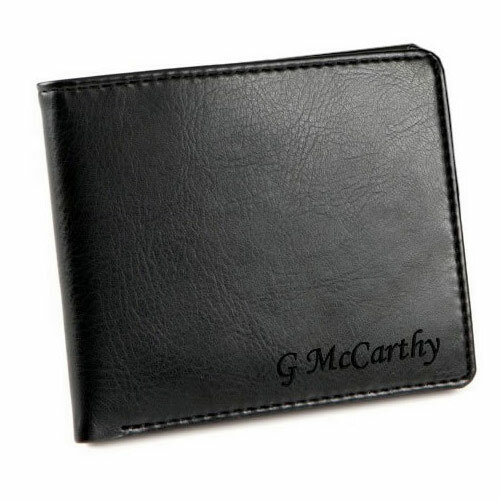 Laser engraving into leather leaves a clean, crisp and very distinctive mark to create a unique gift item. 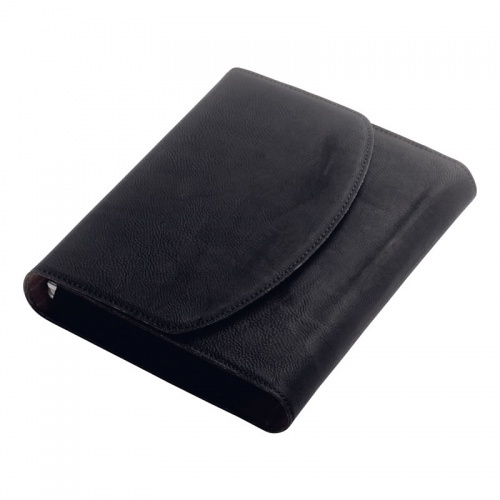 Genuine nappa leather folding wallet with chrome plated clip for engraving, supplied in presentation gift box. 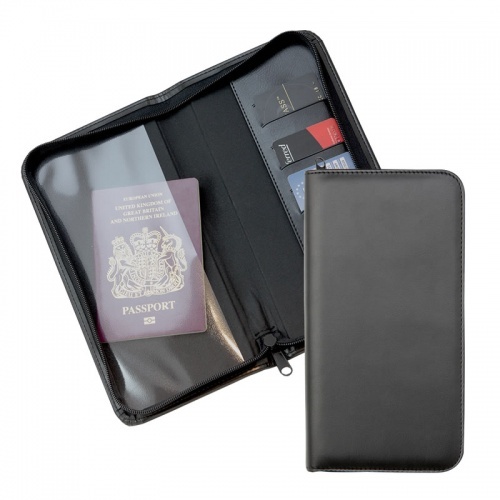 Folding travel wallet in black PU soft-touch Belluno leather, with zipped pocket and multiple slots for passport, documents and cards. 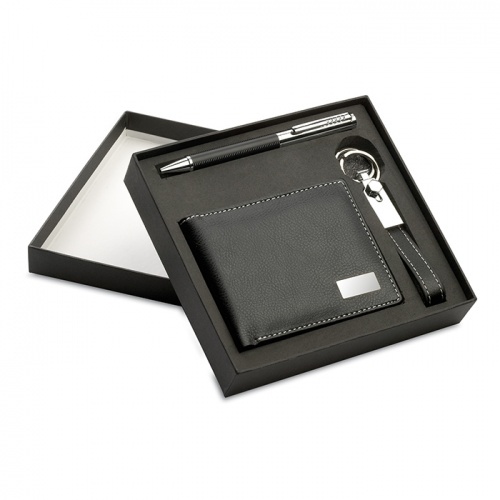 Boxed gift set comprising black PU leather wallet, twist top ballpoint pen with leather body, and matching keyring. 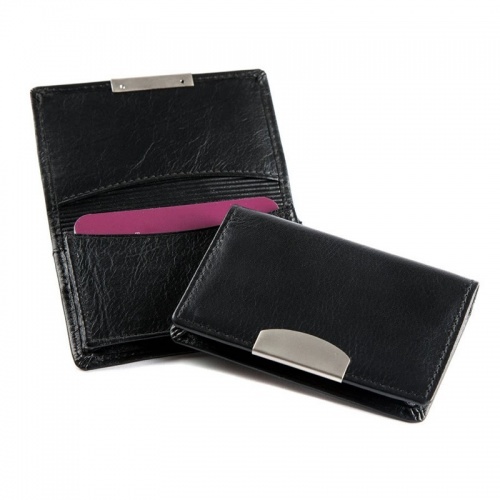 Genuine nappa leather wallet with silver plated clip for engraving, supplied in presentation gift box. 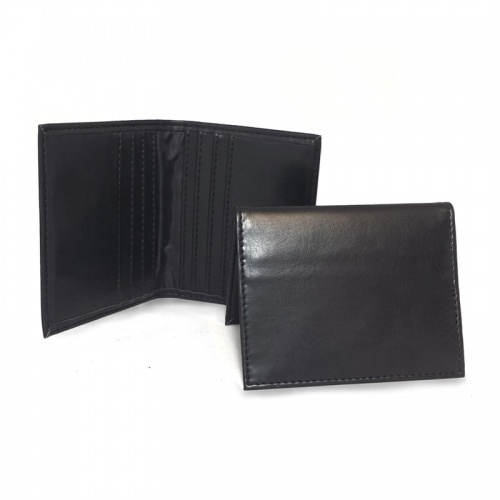 Classic folding men's wallet crafted in black leather with black stitching on all edges. 6 card pockets. 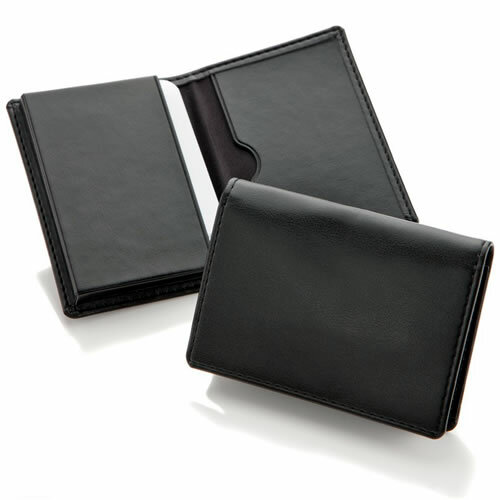 Fine quality nappa leather folding wallet, in black, with eight card pockets. Supplied boxed. 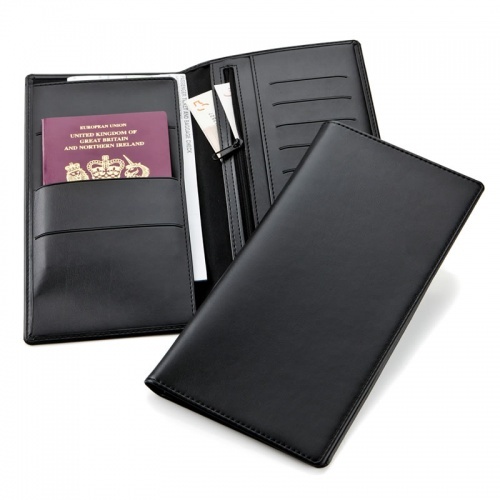 Sturdy passport cover in black PU leather with stitched edges and front pocket, fits standard passports. 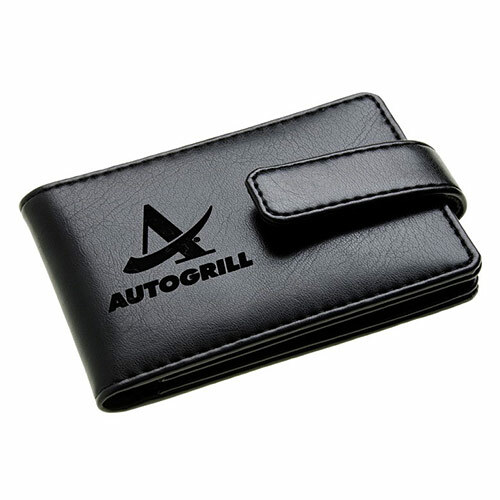 Black PU leather folder with stiched edges and stud fastener, 220 x 175 x 45mm, suitable for vehicle documents. 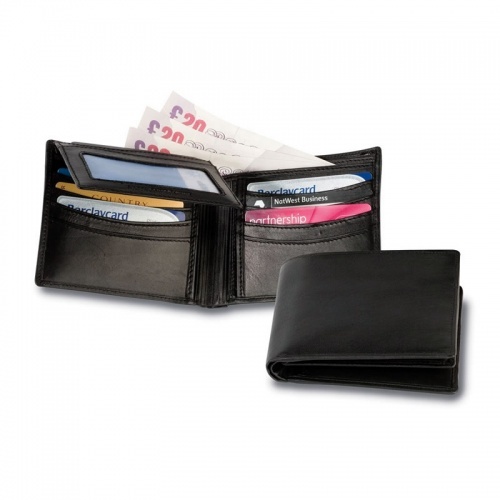 Small magic wallet in black Belluno leather with stitched edges and one card slot on outside cover. Offered with free laser engraving. Pocket business card dispenser finished in black soft touch Belluno leather. Holds 10 - 20 standard business cards. 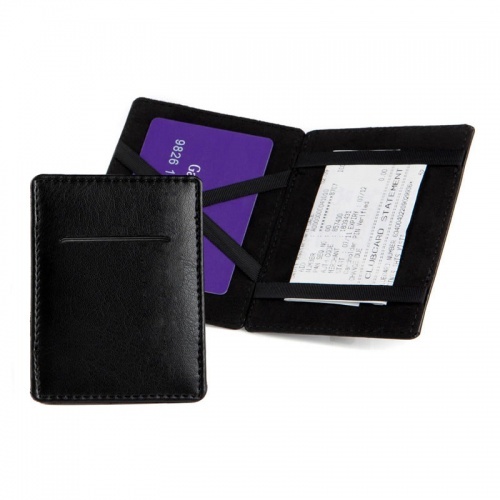 Leather credit cards wallet with internal sleeves for each card. Optional deluxe presentation box available. 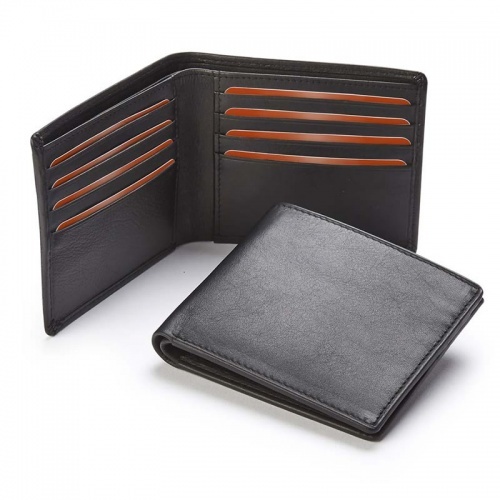 Italian Belluno leather folding card wallet with 2 internal sleeves. Optional deluxe presentation box available. 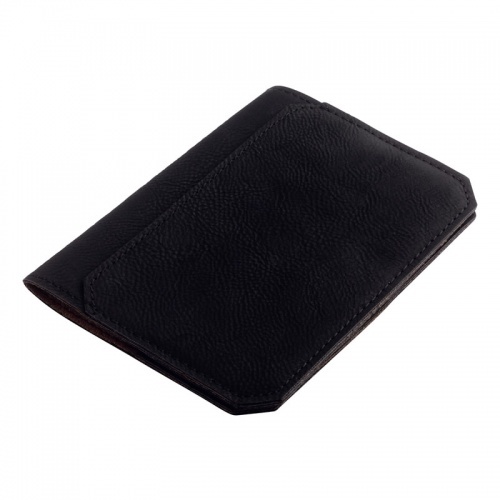 Italian Belluno leather folding card wallet with 8 internal sleeves. Optional deluxe presentation box available. 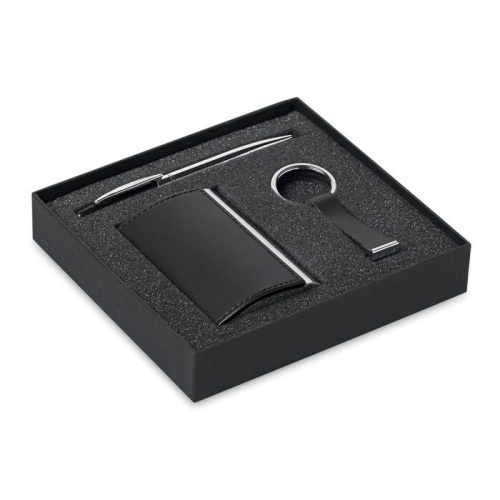 Business gift set with metal twist ball pen, plus keyring and cards case in zinc alloy with PU leather. Deluxe zip round folding travel wallet in soft-touch Belluno leather, ideal for laser engraving to create a personalised document holder. 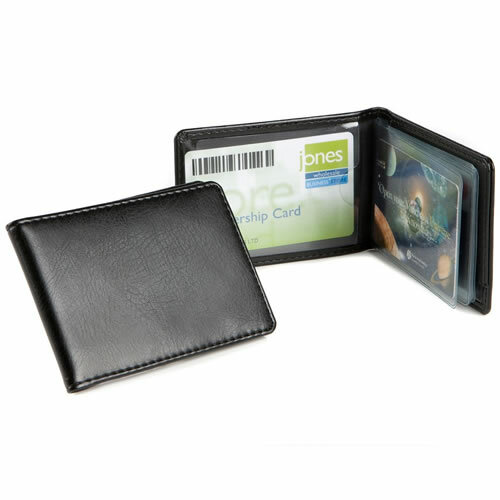 Folding card wallet in black Belluno (PU) leather, with eight internal pockets for credit card sized cards, ID cards and travel cards. 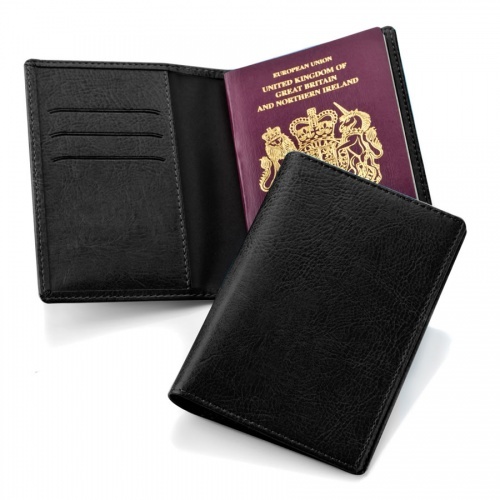 Deluxe folding passport cover in soft-touch black Italian Belluno PU leather with stiched edges and including three card slots inside. signing up to our Newsletter. © 2019 Business Gifts Express.